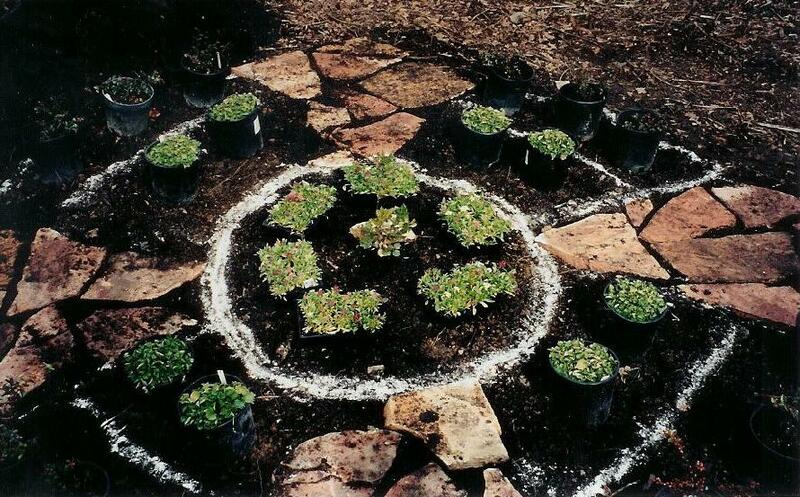 Mandala Gardens are Environmental Healing Arts events, and site specific installations. 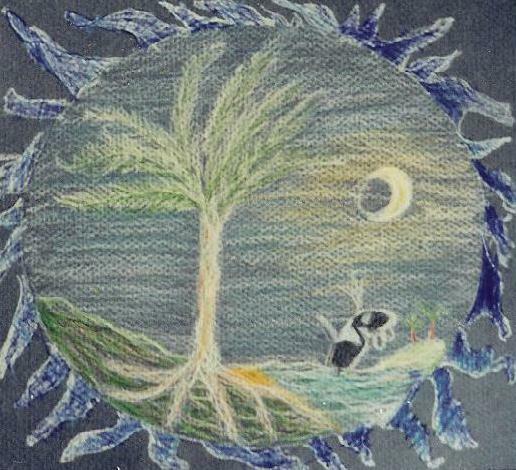 They combine elements of ritual, guided meditation, mandala making, gardening and other art forms including ephemeral art. (i.e. 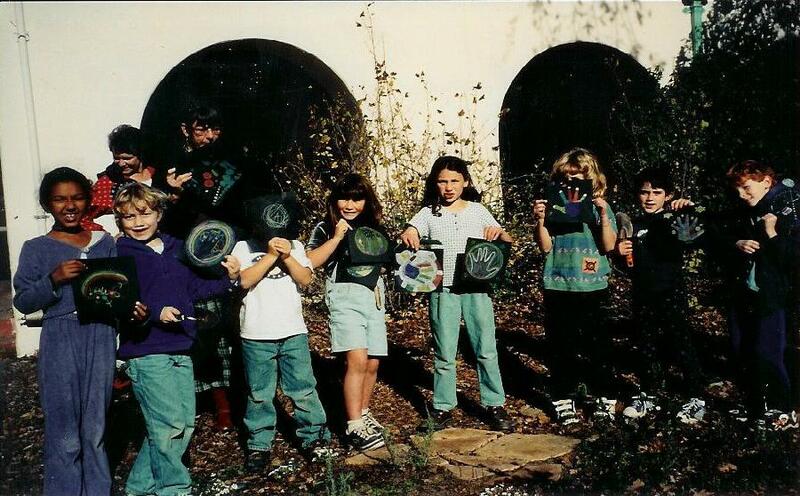 making mandalas out of found objects and then returning them to their natural location). 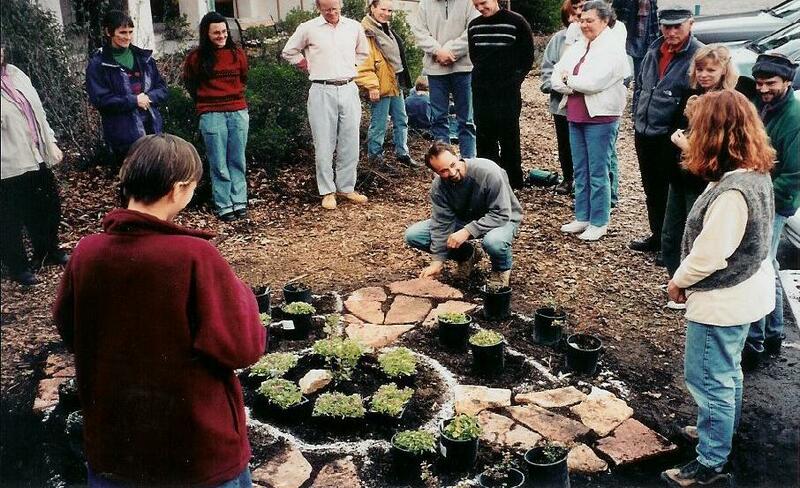 Mandala gardens are envisioned and created collaboratively for personal renewal and community building, and global healing. · Blessing a new home or relationship. · Honoring the memory of a loved one. · Inspiring direct environmental action. 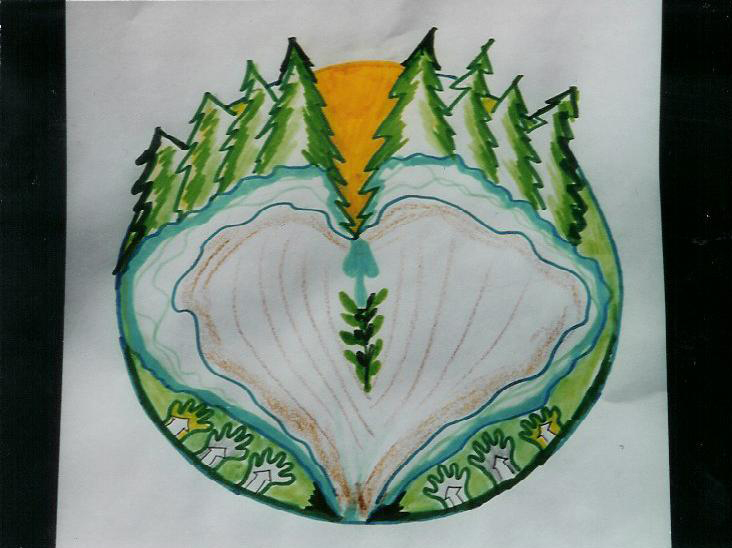 Plant your heart in the valley is an annual, environmental healing arts event for personal renewal and community building. 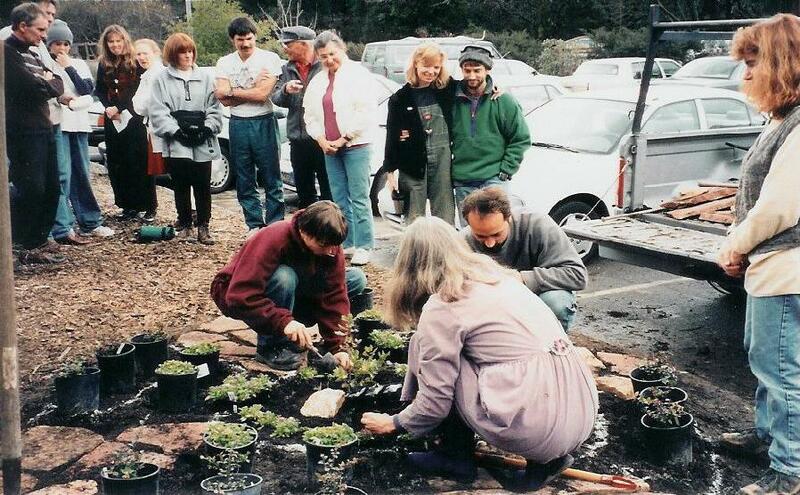 This collaborative event was originally sponsored by AFFAIRS OF THE HEART a free, day-long communities fair, organized by Susan Wilson Rodgers for the San Geronimo Valley Cultural Center in Marin County, California in 1999. 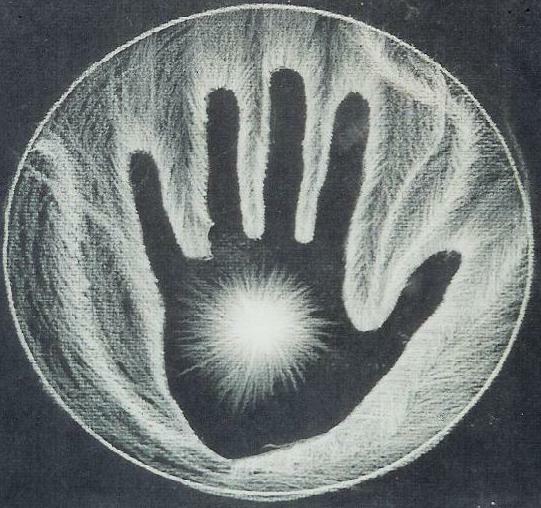 Through a meditation process, we receive a healing image from our hearts that we wish to plant in the Earth. 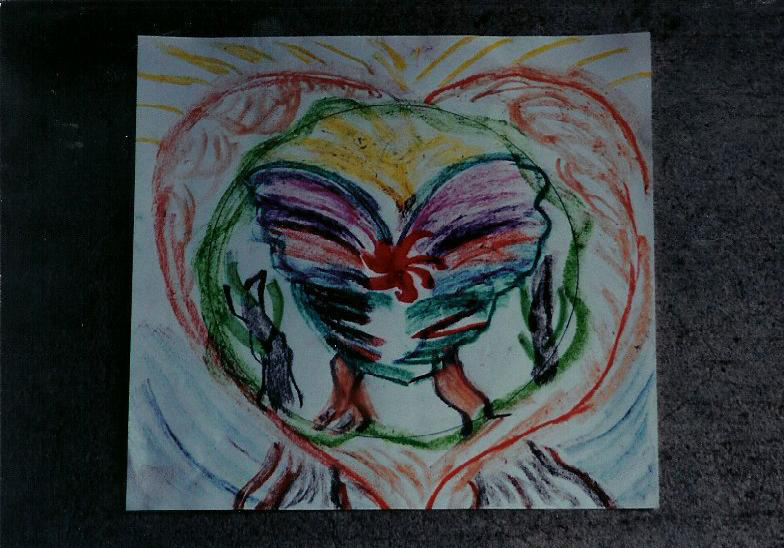 Our heart’s wish can be for the local or global environment, animals and people. (For example, the San Geronimo Valley is a refuge for Coho salmon, which run in the creeks, the Douglas fir, oak and redwood trees, and the animals who live in and beside them). 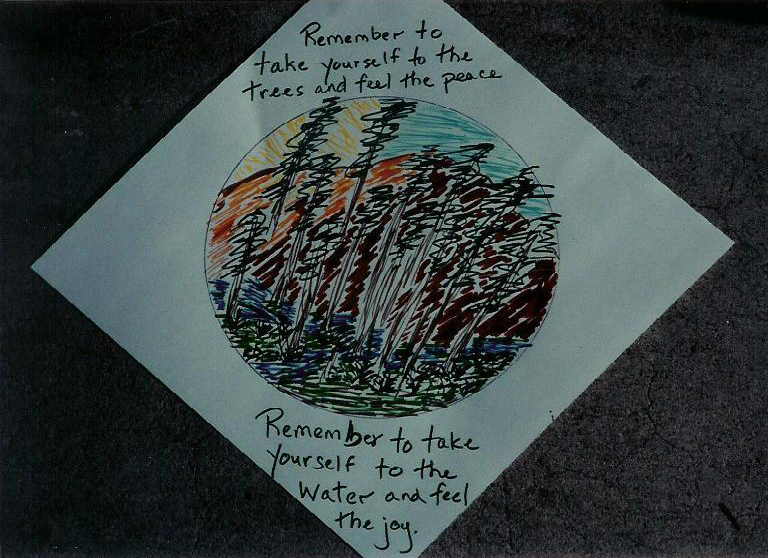 After drawing our visions in sacred circles, "mandalas," on paper, we symbolically plant our wishes. 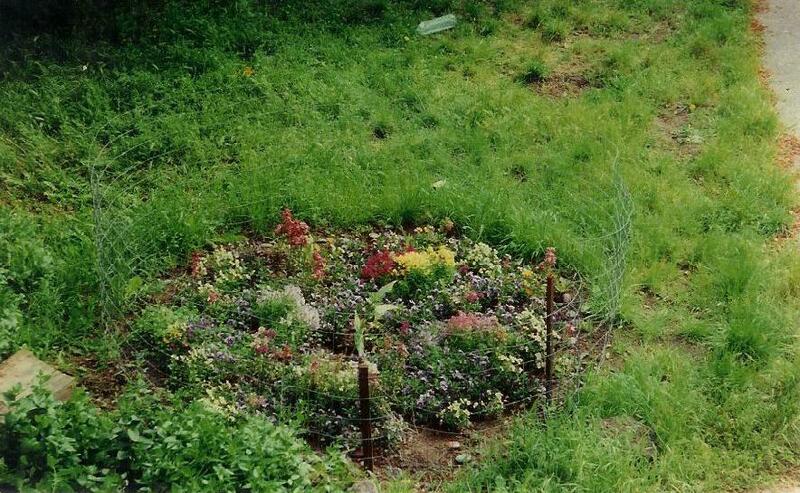 Our community of 2-70 year olds planted a community herb and flower "Mandala Garden” around a young, volunteer oak tree. 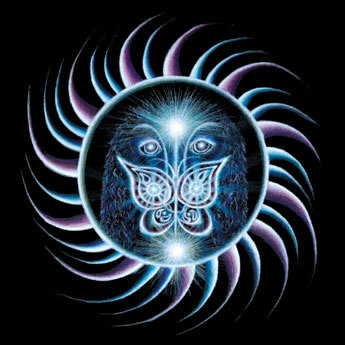 The borders of the mandala are perennial flowers, while the inner circles of the mandala are annual flowers, reminding us of the changing nature of our lives and the Earth. 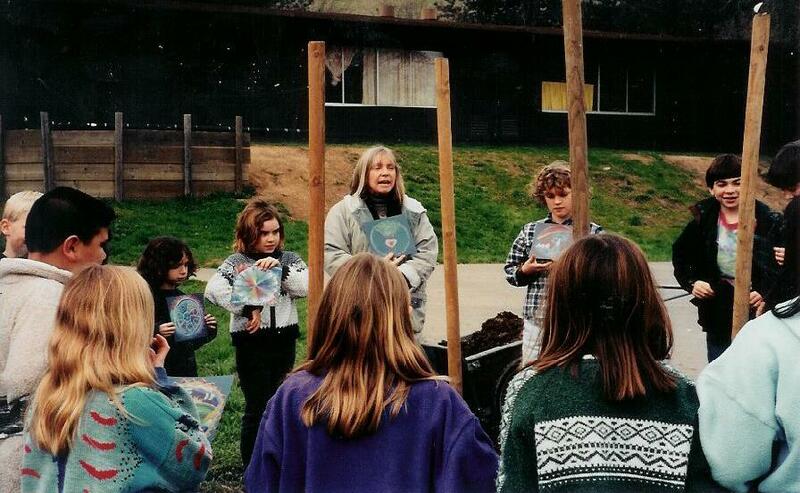 In 1999, we planted the garden on Valentine’s Day and National Arbor Day, (two months later); we celebrated the blossoming of the garden with ritual and song. Kate Munger led us in circle singing (rounds) about the Earth’s fertile beauty. 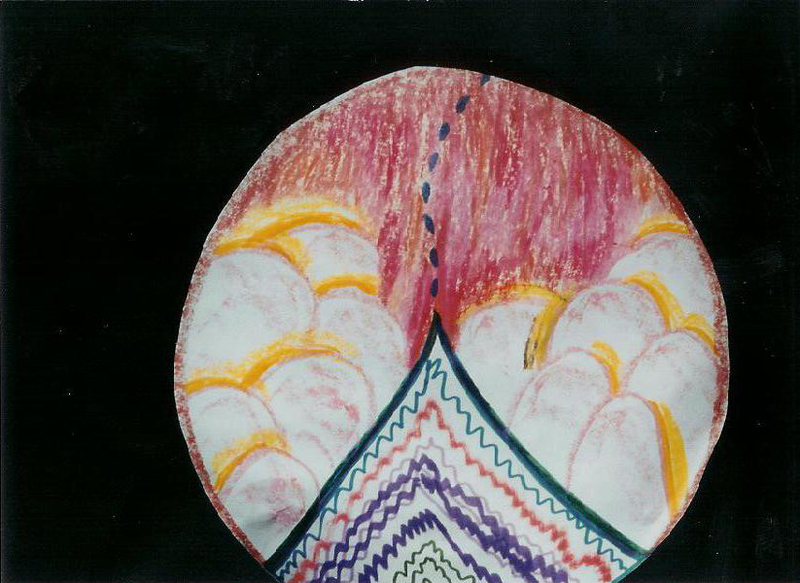 In Fall 2000, I was an artist in residence, in K-5th grade in the Montessori program. 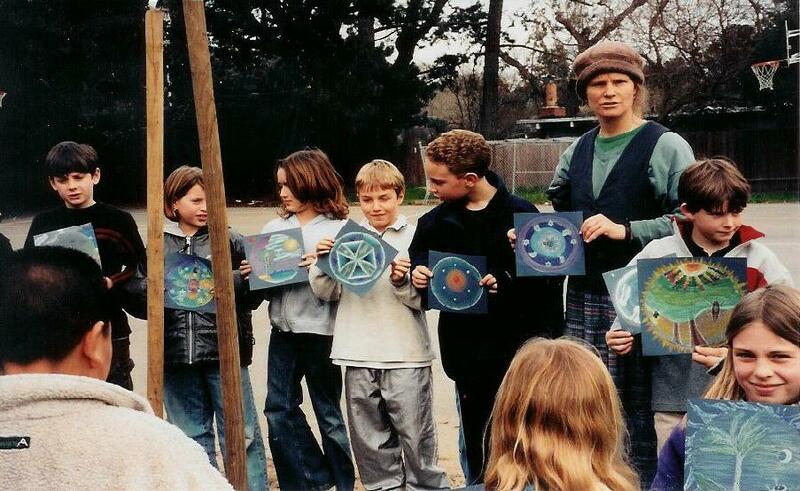 Over the six-week period, the children created beautiful mandalas for the Earth and planted bulbs. Our intention is to re-create this event annually as a recommitment to our community and a celebration of renewal for our hearts and the Earth. 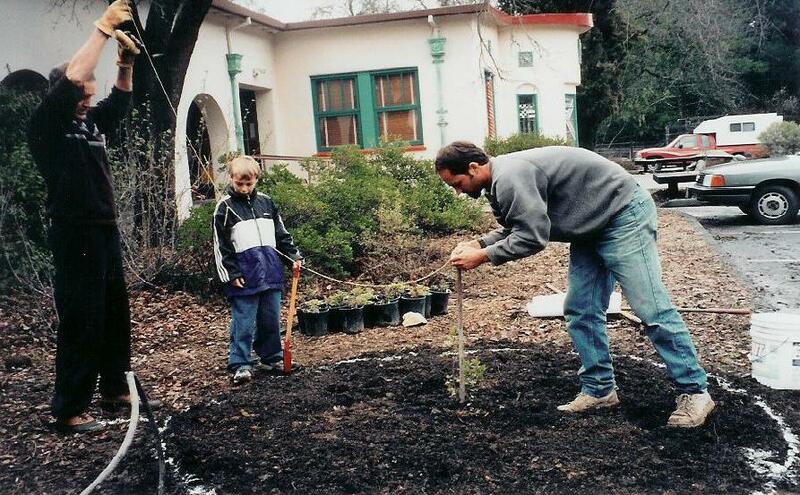 Each year, we will receive new visions and plant new annual flowers around the deepening roots of the oak tree. 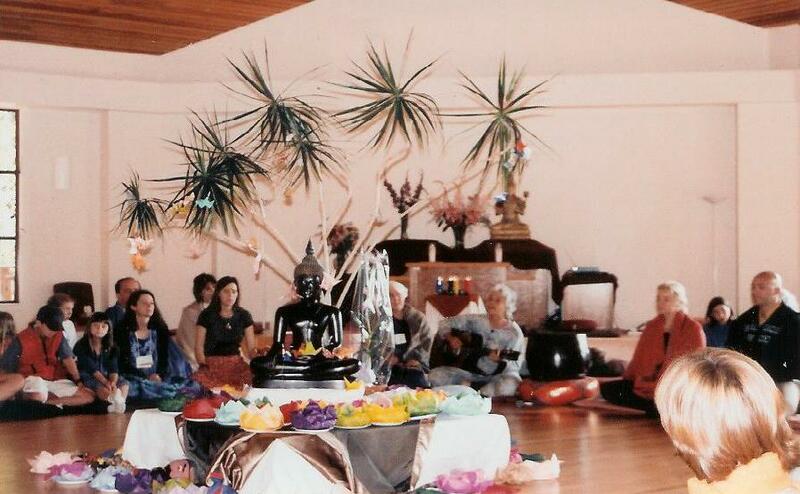 The Peace Garden was initiated at Spirit Rock Meditation Center’s 2000 Family Retreat. 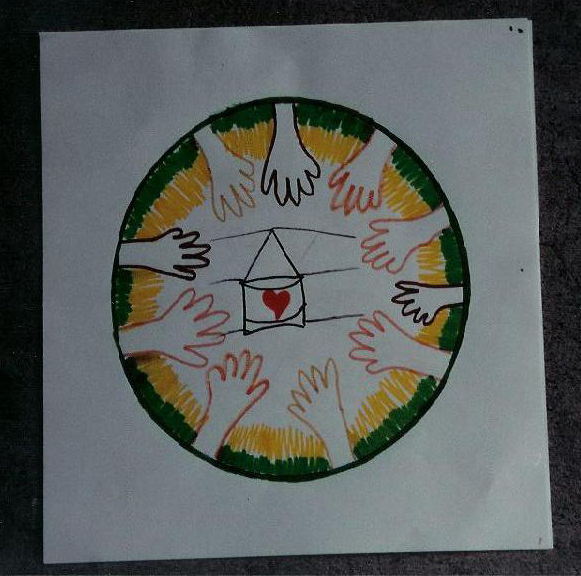 Elements included 50 children creating hand mandalas to express “Loving Kindness’ (Metta) toward themselves and the world. 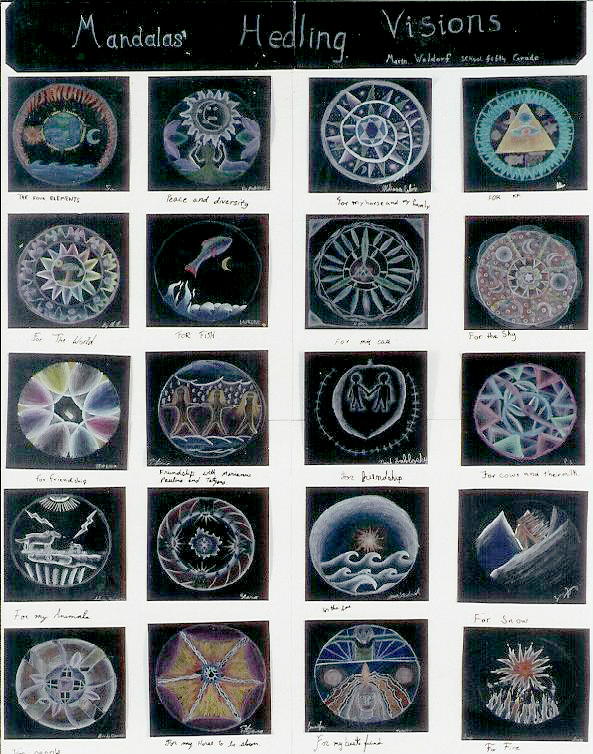 Adults and children also painted their visions for world Peace on round river stones. 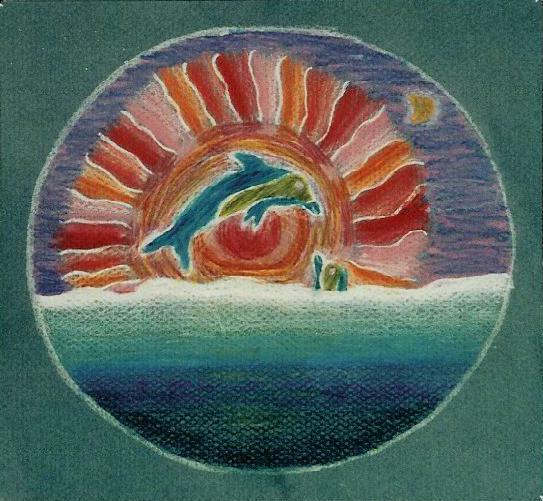 Luminous paints symbolically expressed the feeling of bringing Light into the world. The retreat culminated with a tree planting ceremony on the anniversary of the bombing of Hiroshima, co-facilitated by singer, song-writer Betsy Rose and Wendy Johnson, master gardener and dharma teacher at Green Gulch Meditation Center, and Achan Amaro, senior dharma teacher. Offerings of Peace were made through song, prayer and the stones, which were placed around a cutting of a Polonia tree (the only tree to survive the Bomb). 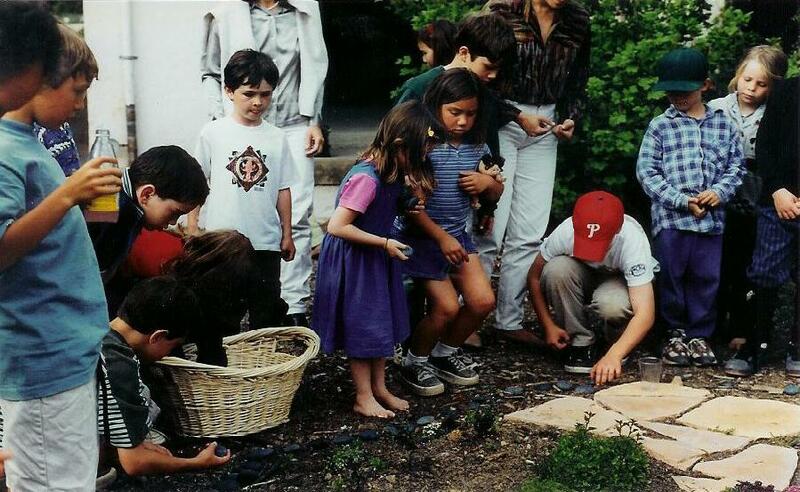 At the 2001 retreat, we also made Peace Cranes (Japanese origami) honoring those who have died, sending Compassion and Loving-Kindness on their wings into this world. 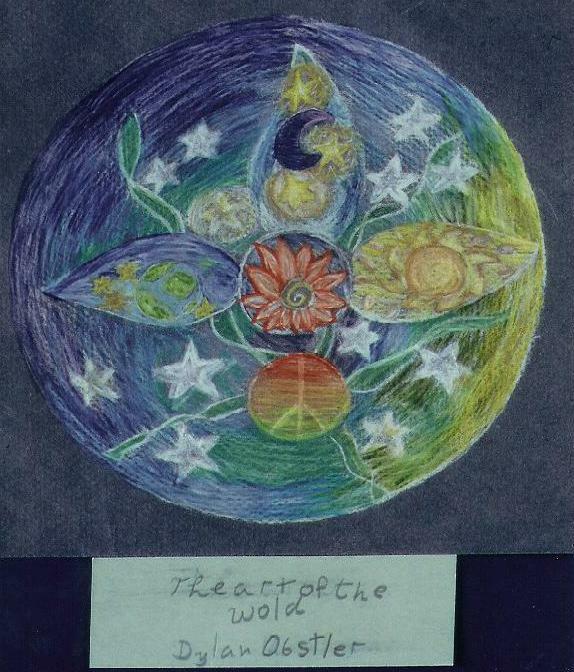 This mandala was a prayer for our beloved Dog and family member, Gracie (a Springer Spaniel). 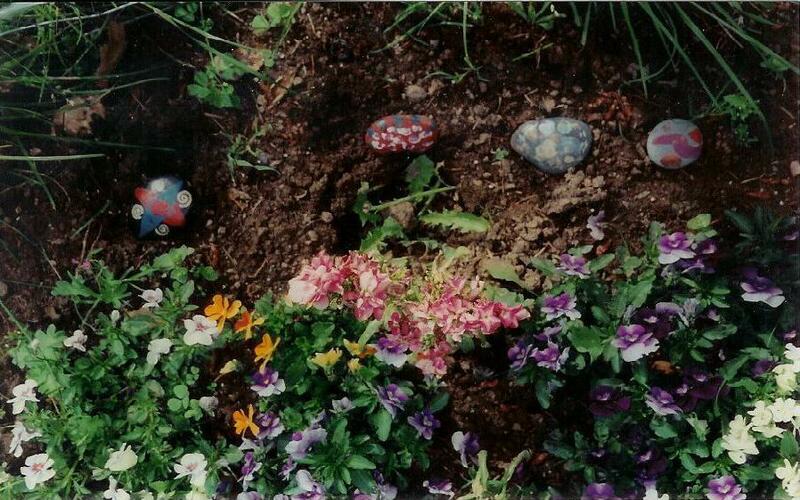 She was lost on Valentine’s Day 2000, during torrential rains. but in my prayers, I saw her in a sunny meadow happily wagging her tail with a butterfly on her nose. Weeks later, we learned she was already dead. 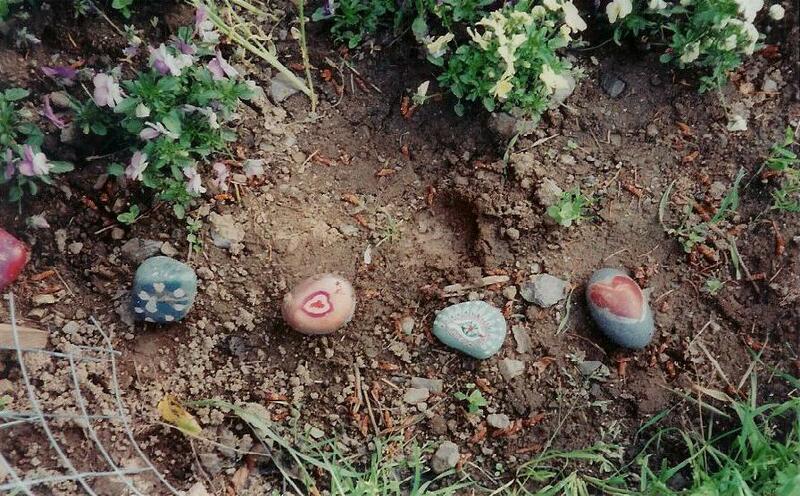 This vision has helped our family’s hearts heal, along with the love of many friends who painted mandalas on rocks for Gracie, which encircle a garden planted for her. We shared tender and funny memories, sang “Amazing Grace”, laughed and cried. Those present said they wished all there loved ones (human, furry or feathered) might have such a beautiful honoring of their life. 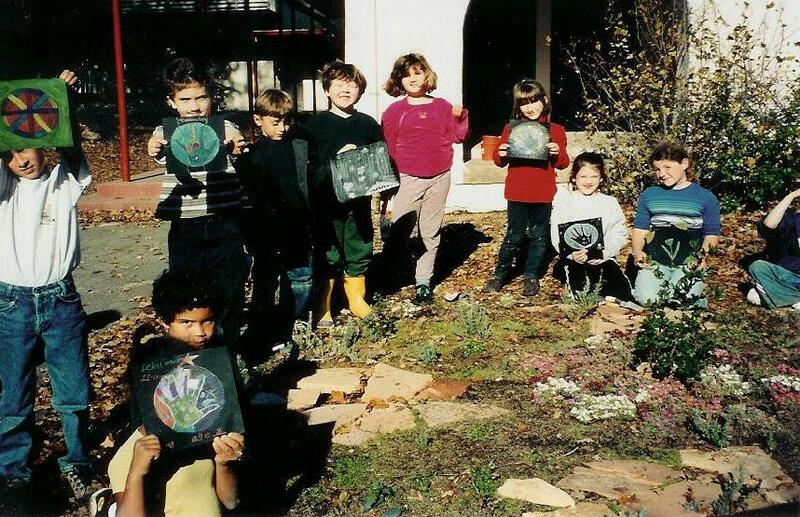 In conjunction with California Arbor Day, the Marin Waldorf Fifth grade class combined art with gardening and community revitalization. This project-incorporated curriculum from the fifth grade including Botany, Geometry, Hindu and Buddhist traditions. All of these curricula explore aspects of relationships (biological, mathematical, and spiritual). 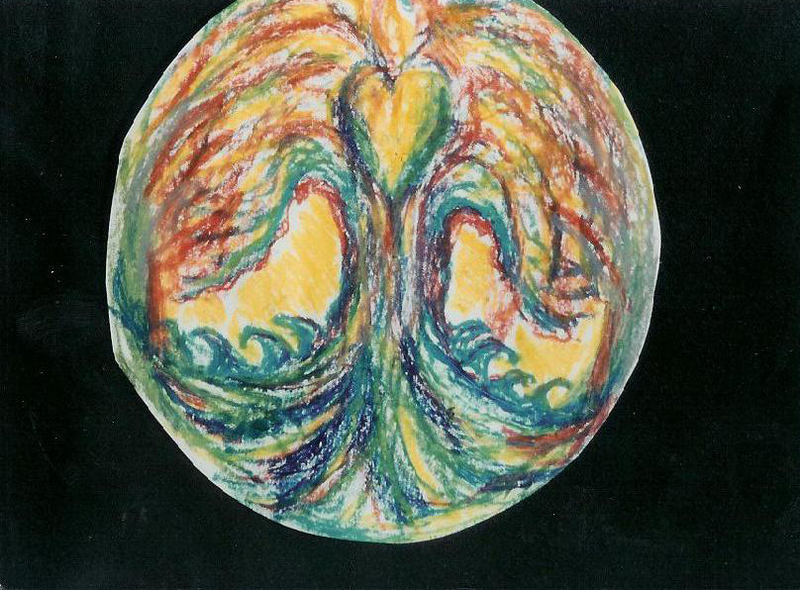 During four different hourly meetings, they created Mandala drawings symbolizing their visions of healing for their relationships with friends, family or the Earth. 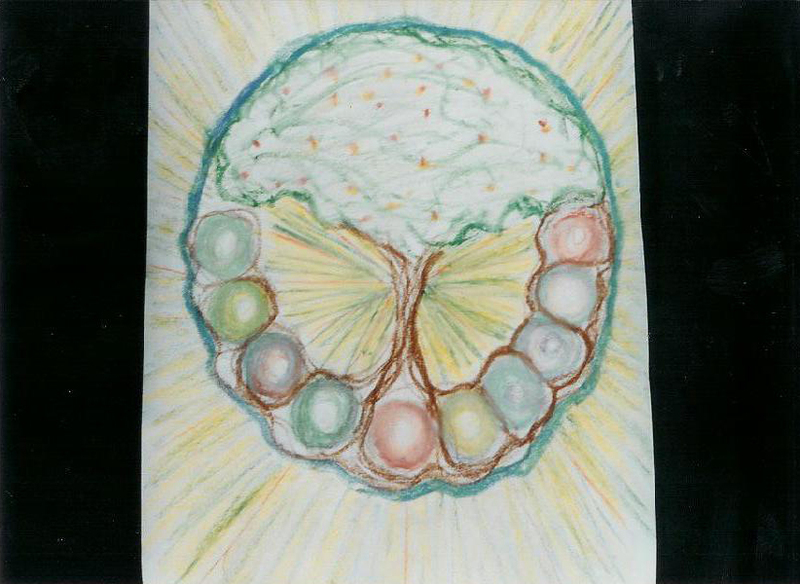 They then planted three fruit trees to symbolically plant these healing visions. The following two projects were honoured by the Marin Arts Council and included in a Marin Community Foundation exhibit called “Art From the Community”. 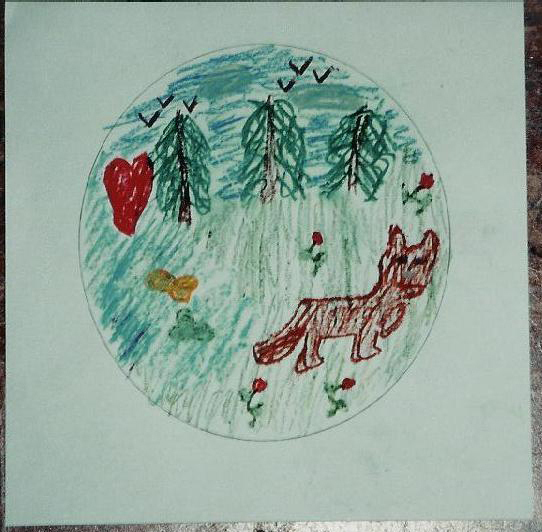 <>Marin Waldorf third grade class created Sacred Circle drawings of their heart’s wishes for the earth and her creatures. 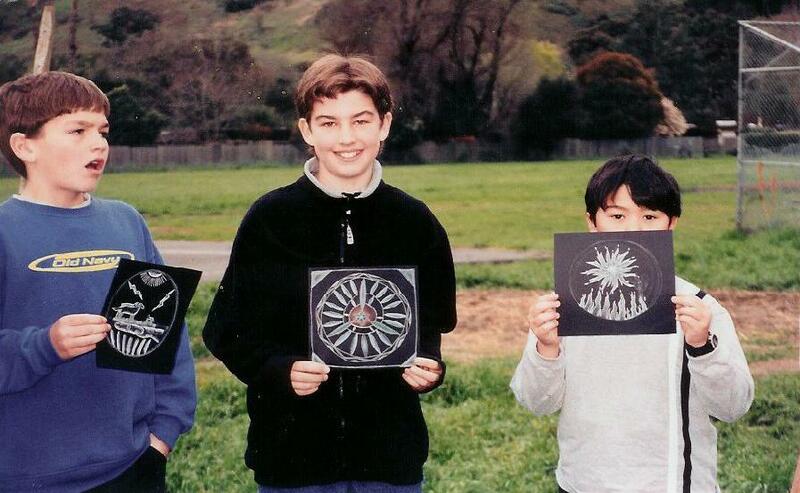 These 7 and 8 year olds lovingly spent 4-8 hours on their Mandala drawings. <>The third grade Waldorf curriculum includes gardening, farming, studying the Old Testament and celebrating Jewish Festivals. 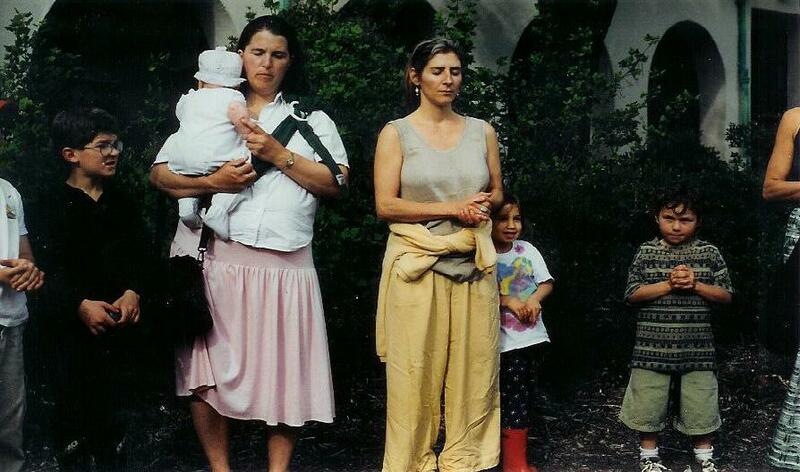 Here we celebrated Tu B’Shevat, the Jewish Festival that beckons Spring by planting a tree at mid-Winter.